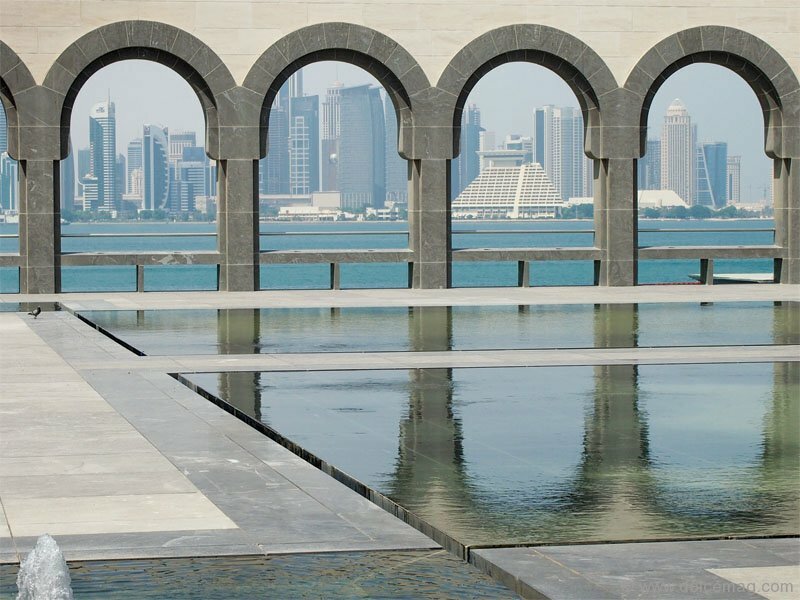 Doha, Qatar, is a mix of highs and lows, a blend of new and old. Battered buildings tell a story of the past, while chic condominiums paint a picture of the future. 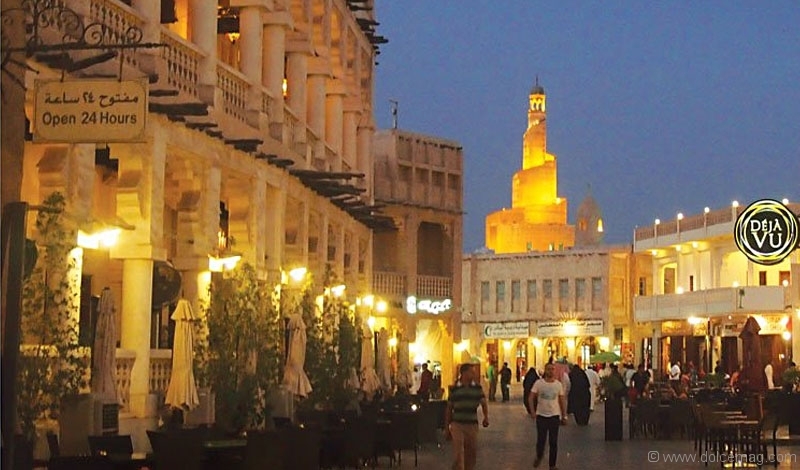 Overlooking the Souk Waqif from my seat on the second-floor patio of Al Bandar restaurant, I can see, feel and smell the essence of Qatar’s capital. Down below, residents draw in flavoured tobacco from colourful, long-stemmed hookahs and families explore shiny silk garments suspended from wooden doors. This is the part of the city that is bursting with culture, the part of the city that deserves slow steps and enthusiastic eyes. Hummus, tabbouleh and pita bread brim over my plate, prepping my palate for the main course. One taste of the zesty biryani chicken and my love of Middle Eastern fare instantly escalates. I later walk through the stuccoed streets and spot the Fanar building in the background, a tall spiraling lighthouse. The first glimpse of this cultural centre sets the bar for the city’s architectural genius. Unravelling across a table in a quiet store, a roll of gilded fabric catches my eye. Within a few moments, I have learned the value of riyals and the meaning of “shukran” (thank you). 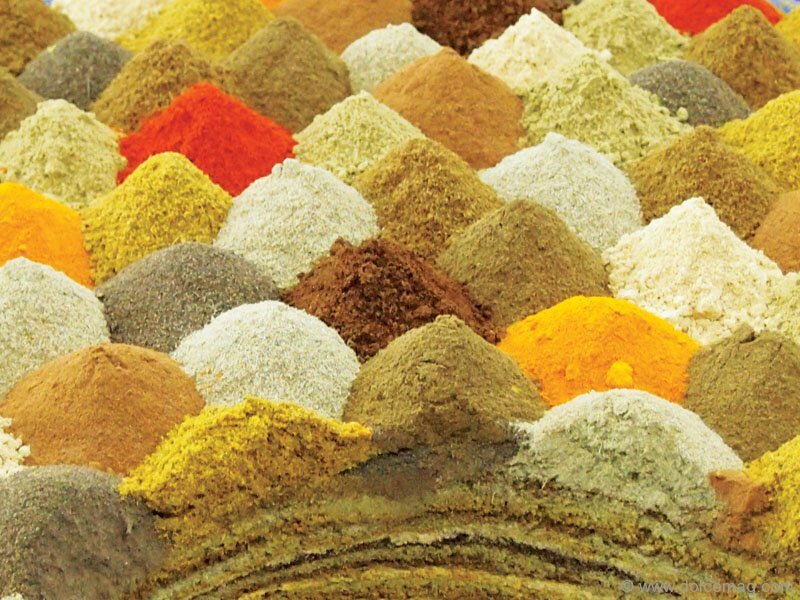 The souk is a feast for all senses. 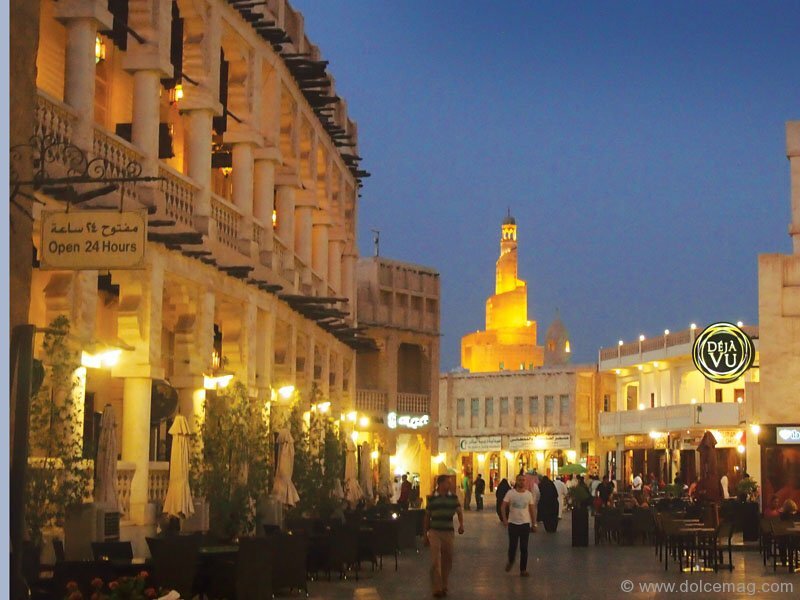 With the intoxicating scent of spices, the beautiful sight of traditional fabrics and the authentic flavour of Middle Eastern cuisine, it is the heart and soul of Doha. 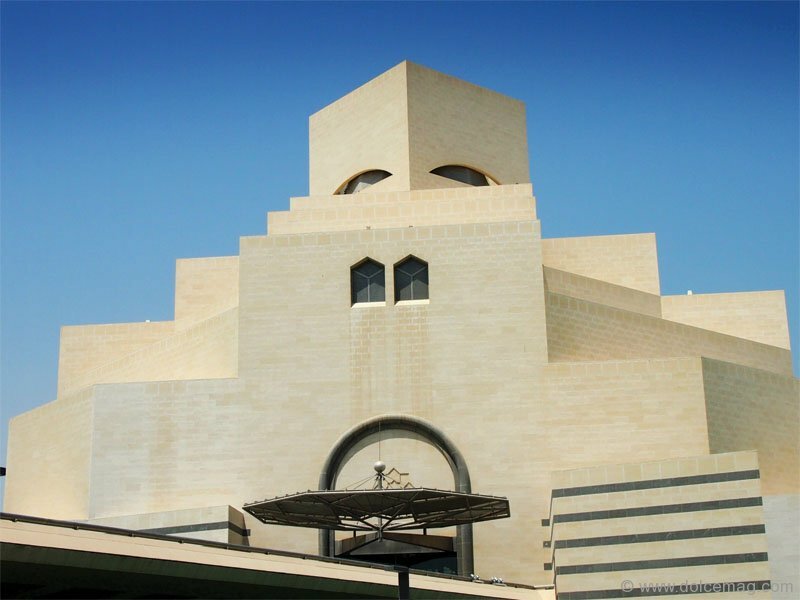 The Museum of Islamic Art, designed by Chinese-American architect I.M. Pei, is an attraction that represents progressive and geometric design. 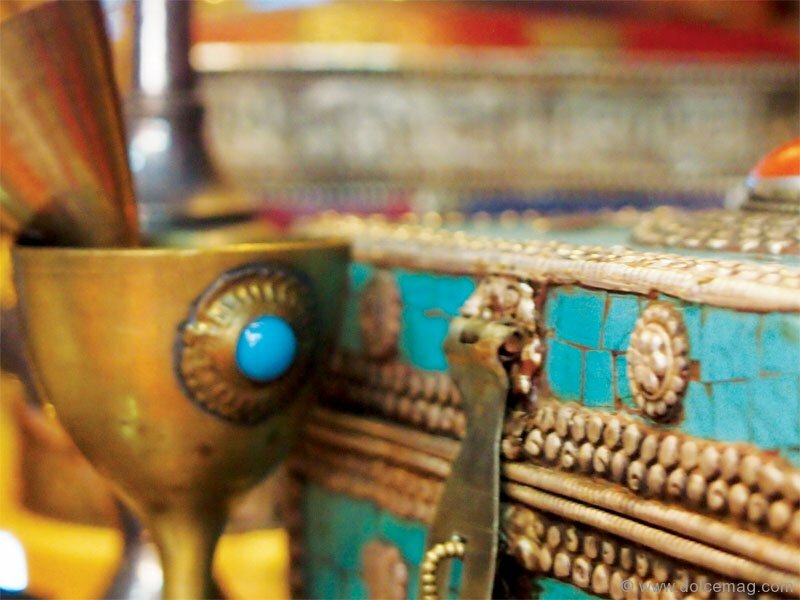 With withered pages from the Qur’an and ceramic dishes, the museum is home to artifacts spanning over 13 centuries. As I pass by the museum’s prayer room with scattered shoes outside the closed door, a fellow tourist grabs my attention. “Go outside and look out from the balcony,” he urges. Little do I know, a horizon of astonishing architecture awaits. Breathtaking terraces give visi-tors views of West Bay, the financial and business district. The air is warm and reminiscent of a hot yoga studio, and the scene creates a peaceful frame of mind in what’s considered the world’s richest country per capita. North of West Bay is The Pearl, the country’s man-made island. Developed with affluence in mind, it consists of extravagant villas, five-star hotels and world-renowned fashion brands like Balenciaga, Missoni and Vera Wang. Waking up in fresh sheets the next morning, I pull back the drapes on my floor-to-ceiling windows and look down at a glistening pool. I’m filled with excitement as I realize the surface underneath my feet will soon be sand. The Inland Sea is our destination but it is the journey that has me intrigued. Leaving the modern city behind, an SUV drives fearlessly towards the dunes. 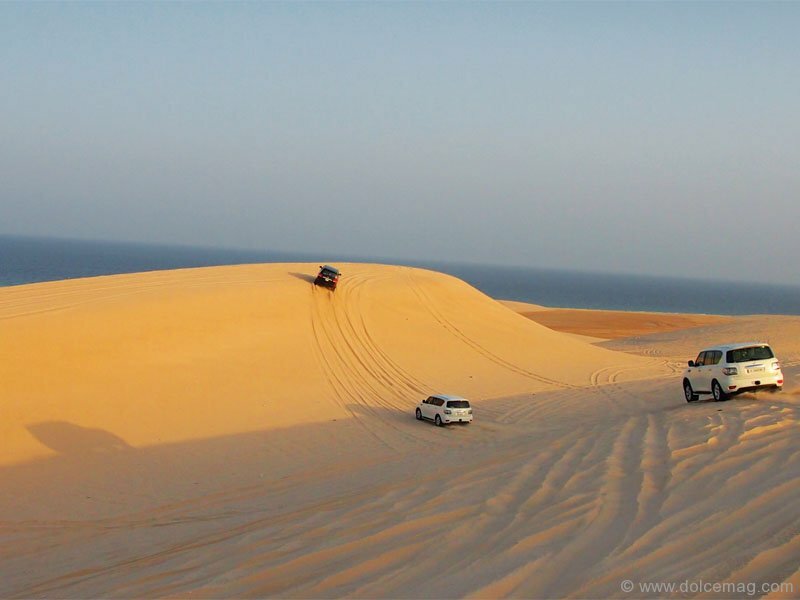 Sand duning in the Arabian Gulf brings this country to life. Though a succulent meal at the St. Regis Doha awaits, my mind stays in the moment. Sand hills create an exotic frame as I snap a picture of the sunset. Later that evening, a tour of the prominent hotel, a sighting of the Olympic-size pool and pre-dinner cocktails in the presidential suite on the penthouse floor, leave a lasting impression. 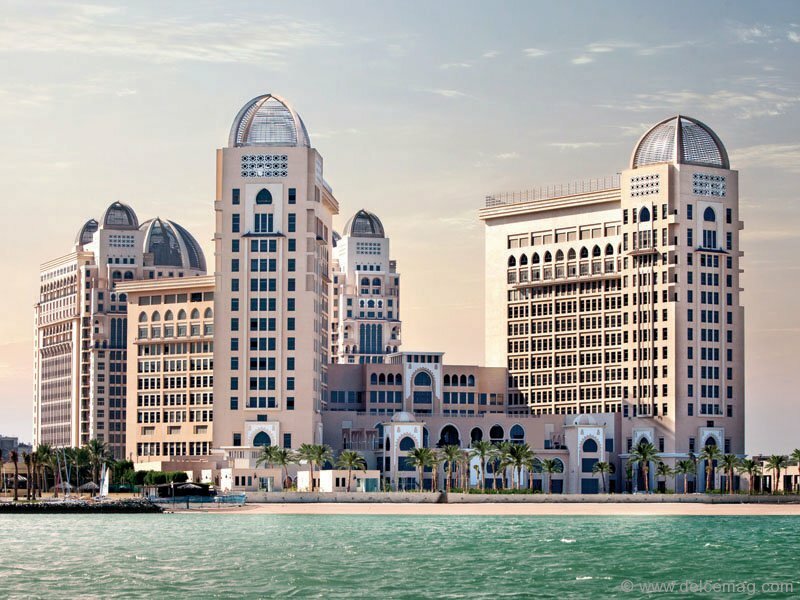 Located in the West Bay area, the St. Regis gives guests picturesque views of the Arabian Gulf from almost every window. The mood is set as I sit down with fellow writers and enjoy a taste of Gordon Ramsay’s Opal restaurant. 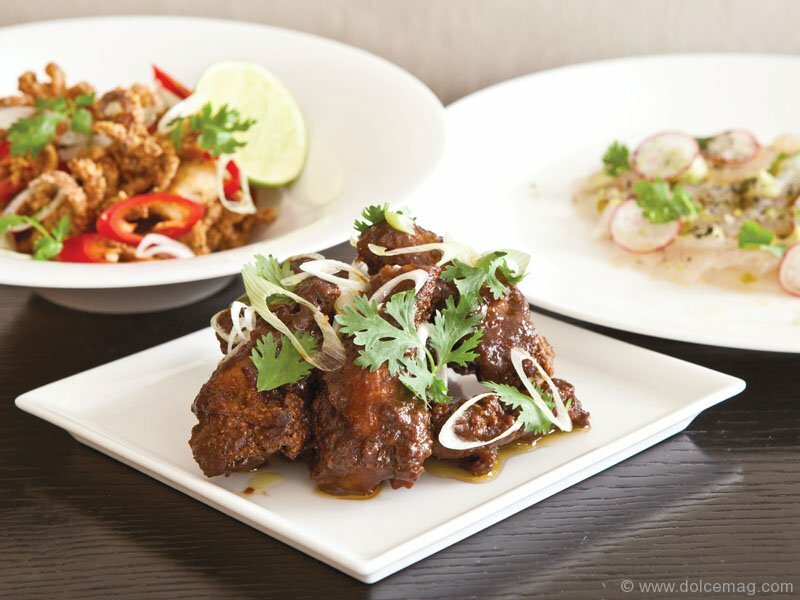 A Western meal complements the hospitality and views. It’s rare to find a modernized city that captures the flavours of the world while conserving its own identity. 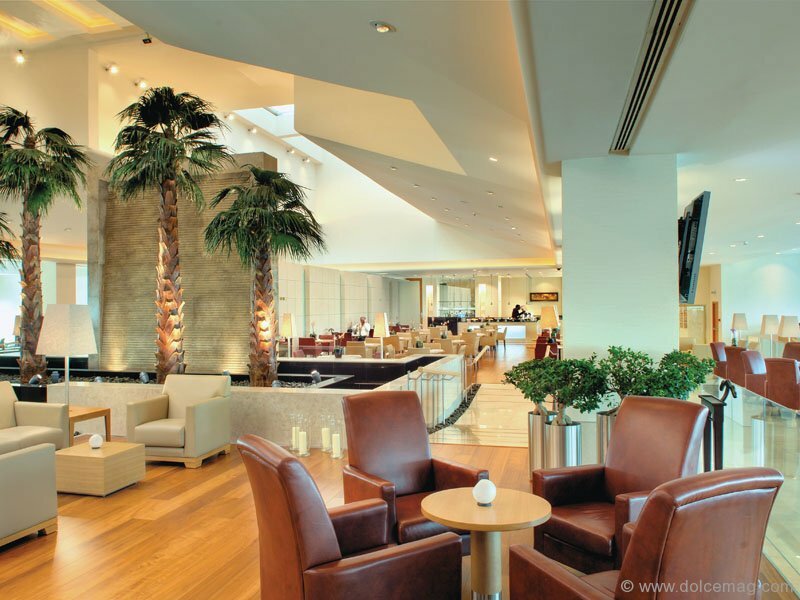 Doha is the exception, offering a supreme level of luxury with an overflow of culture.